Nostalgia is a double-edged sword. While we are often told not to live in the past… Yes, it’s about time to delete and trash regrets like not managing that nasty break-up better; or not snogging more when we were younger and more dashing. But, there are also some milestones that stick fondly in our memories, like that first date; or that first orgasmic, erm, sci-fi movie? 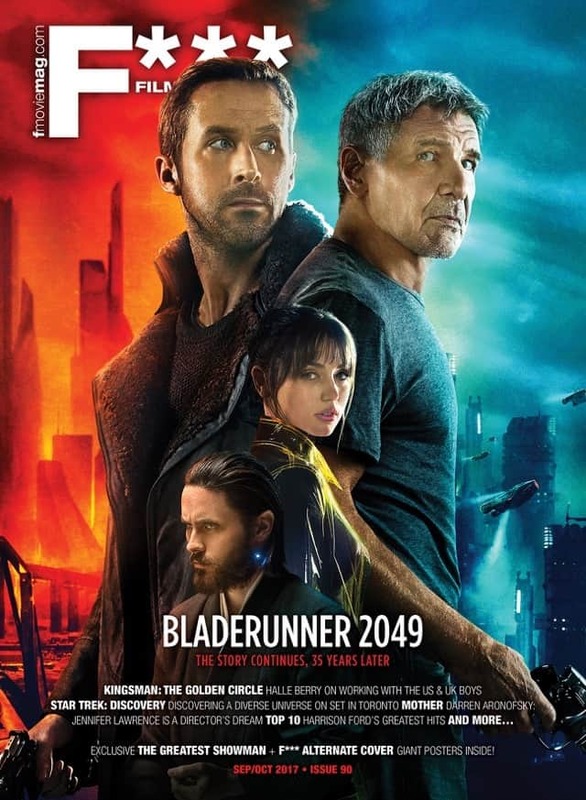 So, 35 years after blowing our minds, thanks to director Ridley Scott and lead actor Harrison Ford, the sequel to the sci-fi classic Blade Runner is finally upon us. While Scott has graduated to executive producer status in Blade Runner 2049, Ford is back, with a new director Denis Villeneuve in tow (with the likes of Ryan Gosling and Jared Leto too). Inside this issue, the Canadian director, who already has hits with movies such as Prisoners and Arrival, spills the beans on working with the amazing cast and the advice he got from Scott. And ‘Beam me up, Scotty’, perhaps, serves as a good link to what’s coming next. For another sci-fi classic synonymous with the above catchphrase is coming back! 51 years ago, audiences worldwide had first contact with space’s final frontier in the original 1966 Star Trek TV series. Created by Gene Roddenberry, the episodic space drama addressed social issues and featured one of television’s first multiracial casts. And 12 years after the last TV episode, new prequel series Star Trek: Discovery aims to push that envelope further! The Walking Dead’s Sonequa Martin-Green takes centre stage as Trek’s first black female lead, with an Asian woman (Michelle Yeoh) in command of an equally-colourful crew which includes the franchise’s first gay couple. Check out our exclusive interviews inside with the diverse cast on-set in Toronto! Well, in the grand scheme and theme of things, we also look back at the illustrious career of Harrison Ford with 10 of his greatest hits; 13 animations on Netflix to look out for; and the usual first-hand news and features about movies that matter, under the stars here and beyond. Now, that’s what I call looking back to look ahead! Have fun! Sep/Oct 2017 #90 is out on newsstands and digital stores now!